Margaret Skinner Weber, aka Peggy. 1/6/1953 - 3/5/2015. Mother, sister, partner; she brought us so much love and light. 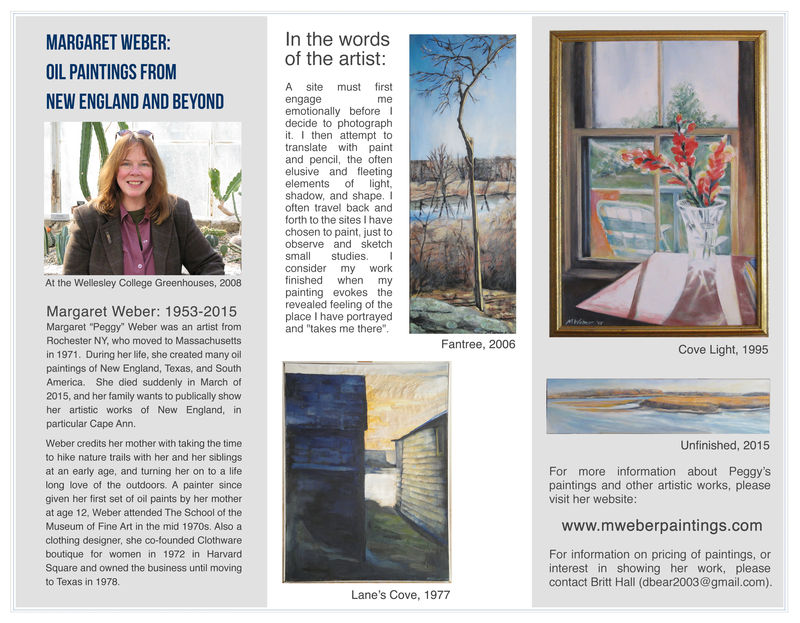 Update 4/22/19: We now have an exhibition page, and 4 paintings are up at Sugar Magnolia's in Gloucester, MA. Check it out! I (Amelia) also produced a small flyer about Peggy's life and art, you can check that out here. Update 4/3/19: The bio is updated and up-to-date! We're also working on a small exhibition of some of Peggy's Cape Ann focused works, to be displayed starting in late April at Sugar Magnolia's in Gloucester, MA. Pictures to come later this month! Update 8/13/18: Quite a few updates in the tribute section. Long overdue, given the date. 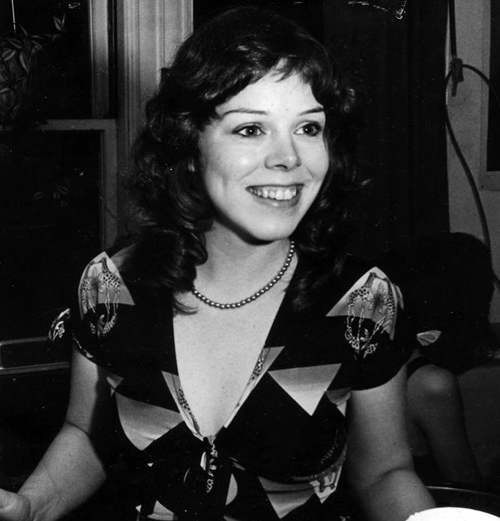 Welcome to the memorial page for Peggy Weber. She passed suddenly on March 5th, 2015. This website is an eternal tribute to her life and artistic works. Peggy was a prolific oil painter, photographer and clothing designer. Her artistic talent was only matched by her amazing kindness and love for everyone who knew her. Her main means of artistic expression was through oil painting; this website showcases 50 years of Peggy's paintings (1964-2015) from the age of 12, until her death in 2015.